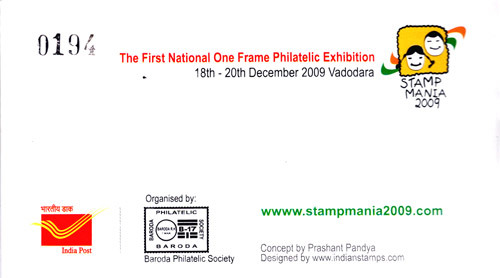 As a part of Stampmania 2009 event, Baroda Philatelic Society with the help and support of Department of Post has released a set of Special Cover, Stamp Booklet and 9 Self Adhesive Labels to mark International Day of Non Violence – Gandhi Jayanti on 2nd October 2009. Special Cover depicts a Globe and a Portrait of Mahatma Gandhi with four pigeons representing peace in the world. Perhaps this would be the first special cover where the Portrait of Mahatma Gandhi and four pigeons have been embossed and an Ultra Violet Coating has been done on portrait of Mahatma Gandhi. 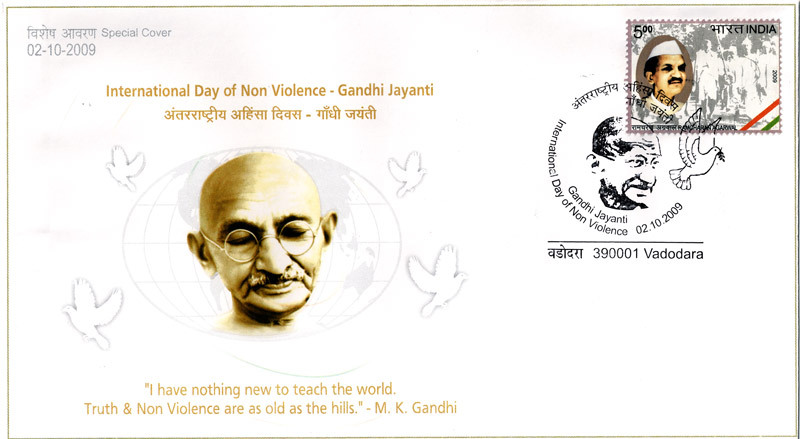 The Special Cancellation depicts portrait of Mahatma Gandhi and a pigeon a symbol of peace with inscription ‘International Day of Non Violence – Gandhi Jayanti’. 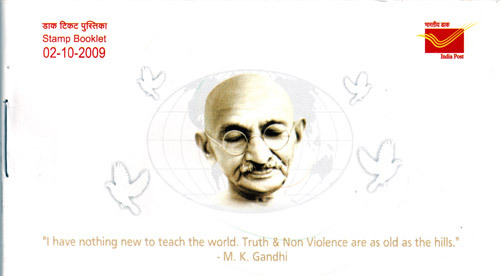 A Stamp booklet illustrates Mahatma Gandhi’s photographs with foreign personalities and also tells Gandhiji’s philosophy of non violence. A set of 9 Self Adhesive labels illustrates 9 different quotes on Non violence by Mahatma Gandhi with portrait of Mahatma Gandhi. 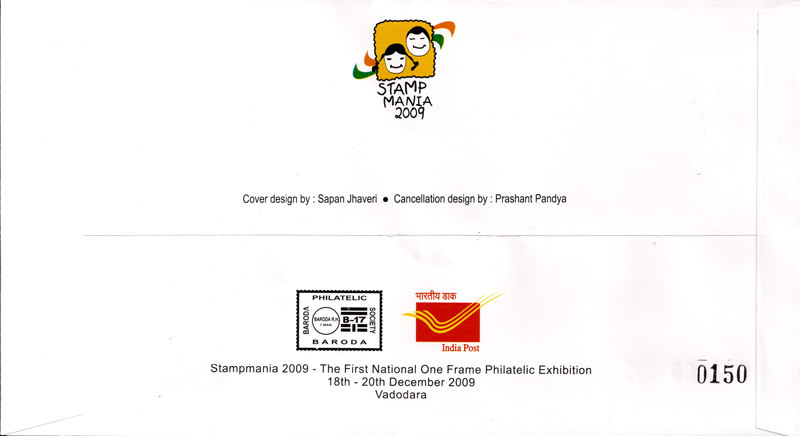 Release function of Special Cover, Special Cancellation, Stamp Booklet and Self Adhesive labels will be held at Vadodara Head Post Office on 2nd October 2009 at 11.00 AM. All are welcome at the release function.